Today i went for my eye check up at TTSH. and i was put at the last of the Q.
GAH. No choice, the professor dont always take patients. so he took me as his patient. Prof Goh checked my eyes and say its still a little swollen. Will go back to him 4 months later. Hope the nerve will slowly recover! So after the check up we brought her to UNITED SQUARE. and was a little afraid cause both of us also panic. LOL! Her first dress from cotton on kids! Keeping it for new year. Will be back to blog soon. I was discharged on Monday because my vision seems to be recovering by itself. But all the fever/pain reliever they gave me isnt of any use. in case its something serious. I didnt want to admit, so we rejected it. But was referred to TTSH eye doctor to take a look at my eye. In the end, still have to admit. 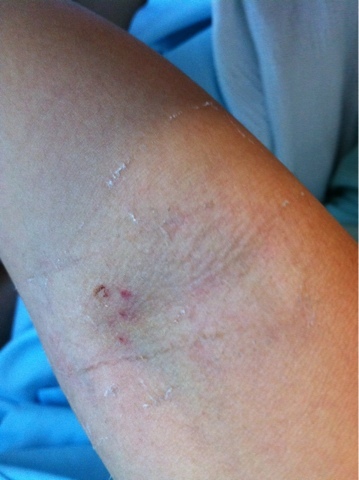 i was admitted for 4 days..
During this 4 days, i did not take any medicine at all. have my fingers prick 6 times OMG PAIN. I did MRI (brain scan) which i am still super phobia of! i recovered by myself before taking any med. I also read that this optic neuritis might come back. So pls include me in your prayer? those who came to visit, and my family who help me with velle. Hope all these wont happen again. I was admitted to ttsh on Wednesday night. 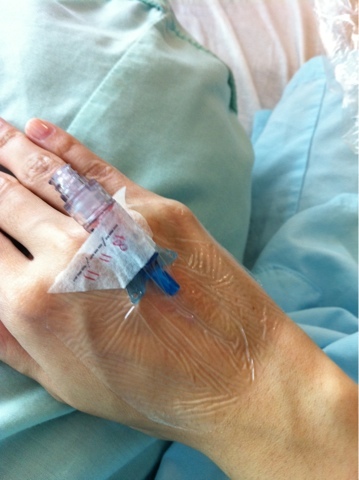 Estimated stay will be 4 days, but I wish I can be discharge as soon! It's really very frightening to go through all the test here... Brrrrr..
Have been feeling feverish for 3 days, swallowing panadols isn't helping at all! 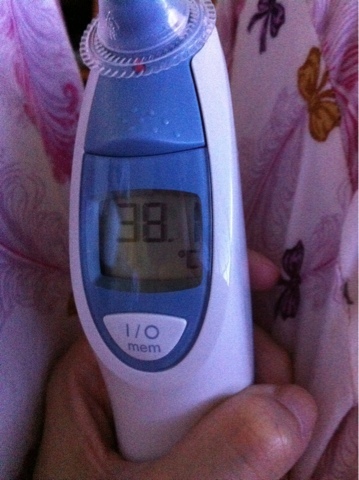 No cough, no flu... Just keep having stupid fever! Just like that time when I'm in USA! Argh! Appetite v bad, yet gastric so painful. last week pass by really fast! We met the Lee family last week before Trev went school. Was pretty confident that Trev settle well in school because of his outgoing character. Feeling v nua that day, wore spag and shorts to marina. Velle was super excited about meeting trev! Because hubby say that station also can walk to marina square. I was complaining how far it is, until i saw twelve cupcake at millenia! I didnt know there is an outlet there. The first bite was like "nothing special...."
But once i swallow it, i go "OMG! I NEED TO HAVE ANOTHER BITE!" We went back for more cupcake. Jas and kelvin bought 6 ! They were discussing at the cashier whether can they even finish all. The salesgirl told them "sure can finish onë"
LOL! they really gobble them up really fast leh. Mac too red, maybeline too light, so buy canmake de.. just nice. MY sleeping baby on a weekday. We used to play together every weekend when we were young. or just simple hide and seek in my grandparents' 2 storey house. The babies of the family. AIYO SO FORMAL SO CUTE! I should dig out our old cousins photo next time! When did our little monk turn into a prince?